TechnikPR COMPUTEX 2017 industry party | Computex Parties - The first directory to find all parties held during Taipei Computex show! 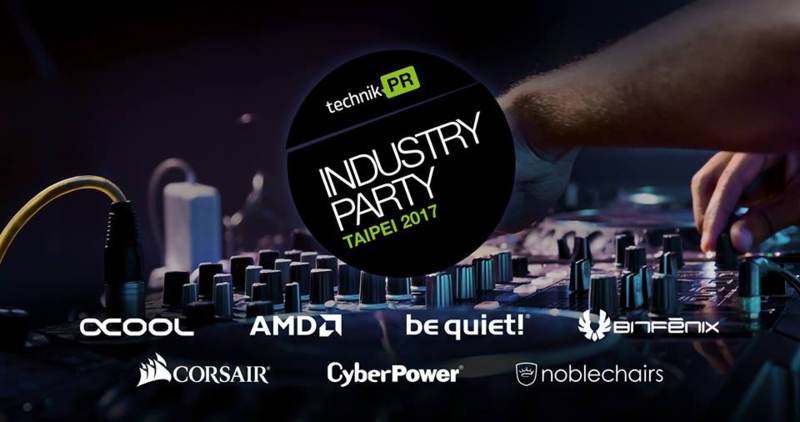 If you are visiting this year’s Computex Expo, there is one event you are not allowed to miss out on; the technikPR Industry Party. After three successful editions, the technikPR team has once again partnered up with a great selection of industry favorites to provide you with a night of product showcases and networking opportunities in the relaxed, intimate atmosphere of the *inhouse DJ lounge in Taipei. Event categories: Customer Night and Press Party.Event tags: technikpr.